BJP candidate Nilamani Bisoi held for smashing EVM in Odisha! Bring investment that creates employment. 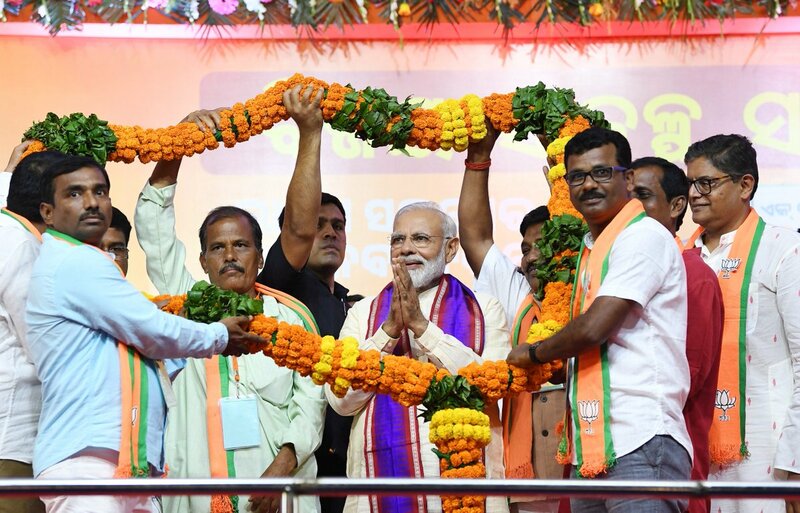 What are the issues of voters in Odisha in #LokSabhaElections2019? A senior sociologist from the state Ishwar Chandra Nayak speaks to India today on this and also about women voters and candidates in the state. Will @Naveen_Odisha blow the conch again in Odisha? What is the secret of Odisha CM @Naveen_Odisha's success? We try to find out from voters of the state. Odisha CM @Naveen_Odisha speaks to @sardesairajdeep; expresses confidence that he will win a fifth term as CM.
.@sardesairajdeep explores the flavours of Odisha. Will Odisha CM @Naveen_Odisha win a fifth term? We try to find out! Making every effort for Odisha’s progress. Inaugurated/laid the foundations for projects worth over Rs. 1500 crore. These projects will have a transformative impact on Odisha’s progress. They will also draw more tourists, who can see the exceptional Odia culture. Today Odisha got its second airport in Veer Surendra Sai Airport at Jharsuguda. It is a matter of immense joy for the state and I hope it enhances connectivity in the region. The people of Odisha have many serious questions for the State Government. Be it Odisha, Chhattisgarh and Maharashtra, work of the Central Government is admired everywhere. Congress’ inability to provide basic healthcare, weak stand on national security and plan to raise taxes is worrying people. Here are yesterday’s campaign highlights. 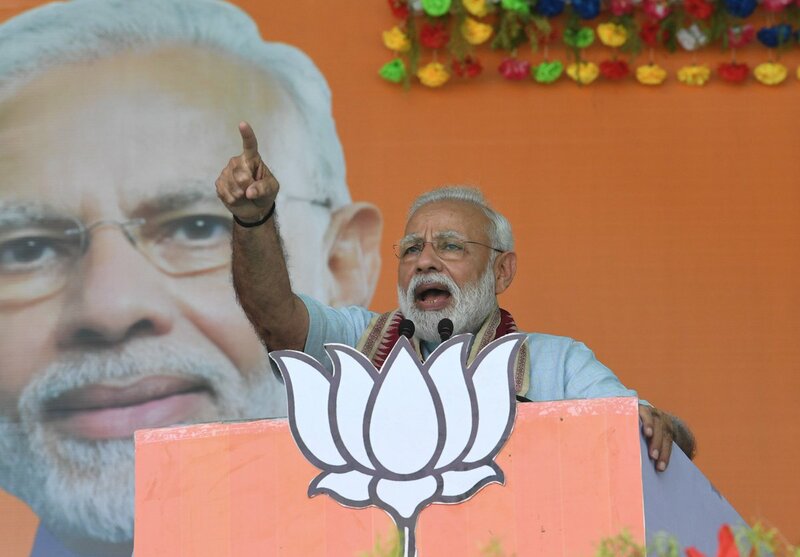 In Bihar and Odisha, it is NDA all the way. Mahamilawat isn’t even an option. Here’s what happened in Kalahandi, Jamui and Gaya. Guided by petty politics, the Odisha Government refuses to allow the people of the state to avail benefits of NDA Government’s welfare measures for farmers and tribal communities. Such a Government should not remain in office any longer. Neglect and apathy of successive BJD as well as Congress regimes impoverished Odisha. These parties use the poor as votebanks and keep them impoverished. BJD offers nothing substantive that would appeal to people of Odisha. Congress has already announced its plan of action if they win- raise taxes and pressurise the middle class. None of these parties can win the war against poverty. People of Odisha are all set to vote out the BJD government. There is a palpable wave of support for PM Modi and the work his government at the centre has done in the last 5 years. The NDA Government has taken numerous steps to improve education and sporting facilities, which will directly benefit tribal communities. Union Minister & BJP leader Piyush Goyal to ANI: I went to Puri, Cuttack and now Kendrapada, in Odisha. All 3 are prestigious battles, where we are winning with huge margins. We want development in eastern part & as Modi ji said that east has to develop as much as south and west. 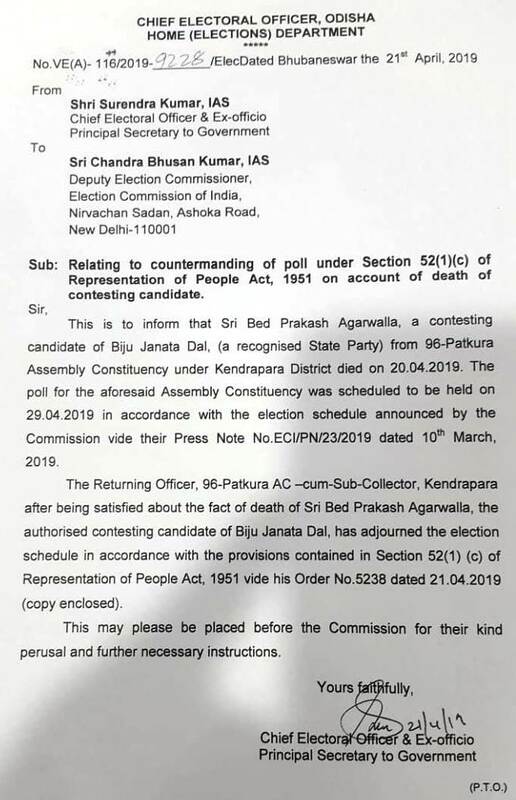 Breaking: Election for Odisha's Patkura assembly constituency, scheduled to be held on 29th April, adjourned due to the death of Biju Janata Dal (BJD) candidate Bed Prakash Agarwalla. Odisha: Election for the Patkura assembly constituency, scheduled to be held on 29th April, adjourned due to the death of Biju Janata Dal (BJD) candidate Bed Prakash Agarwalla. 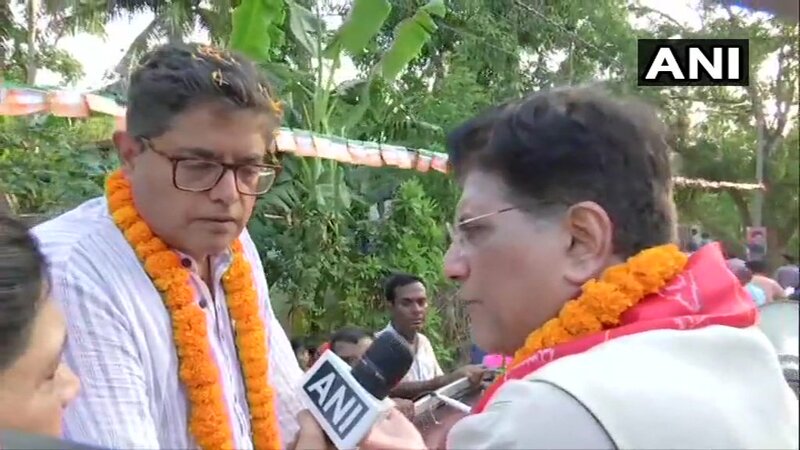 BJP's Jay Panda on allegations against him by Odisha CM of lobbying with central govt to get railway lines laid to his mining companies rather than Kendrapara Dist: I’m disappointed that Naveen has reduced himself to this state of making wild unsubstantiated&personal allegations. "Any party or coalition that supports the development and just claims of Odisha will have our support." 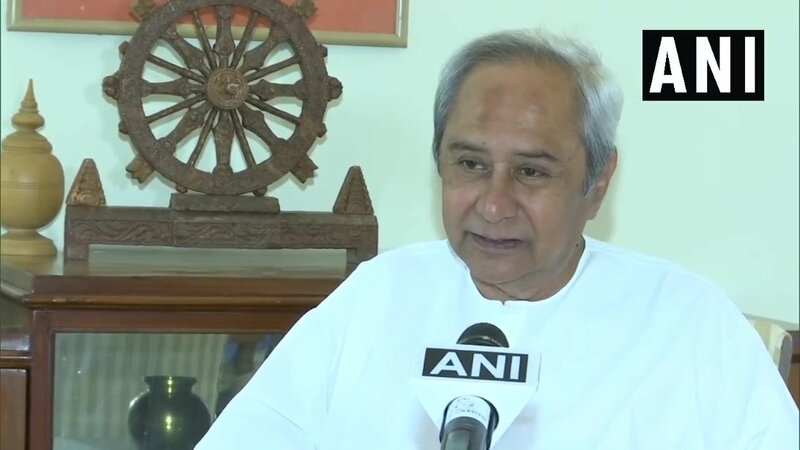 Odisha Naveen Patnaik to ANI: I have met Mr Modi, I meet him officially several times, it is a perfectly civil relationship between the prime minister and a chief minister. 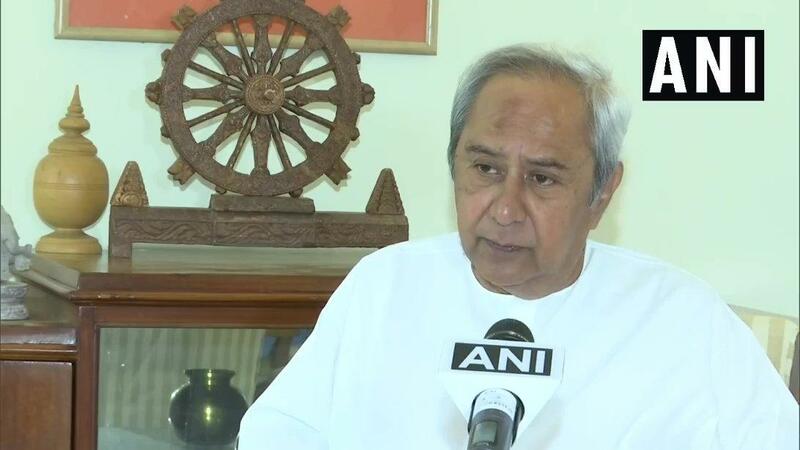 Odisha CM Naveen Patnaik to ANI on being asked if the close relationship his father Biju Patnaik once had with the Gandhi family carry into the next generation: None of them (Rajiv Gandhi & Sonia Gandhi) have spoken to me. I have never met him (Rahul Gandhi). I thank my sisters and brothers of Bhubaneswar who joined the roadshow in large numbers. 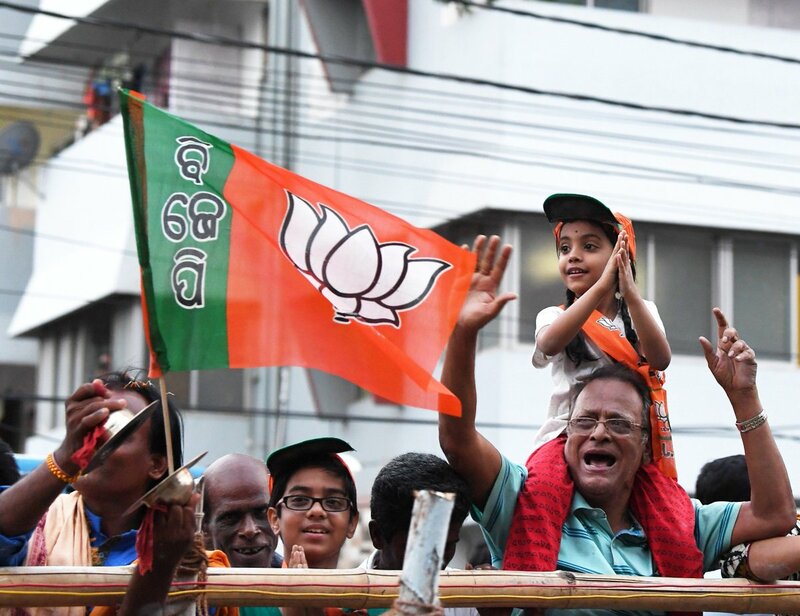 The enthusiasm is reflective of Odisha’s desire to elect BJP. At the grand rally in Bhubaneswar, talked about BJP’s vision for Odisha in agriculture, water resources and infrastructure. Odisha is going to do what UP did in 2017 and Tripura in 2018! Odias want freedom from mining mafias, chit fund looters and those who deny good healthcare. After 19 years in power, BJD's track record is dismal. The state is eager to vote for BJP. Here are pictures from Kalahandi. 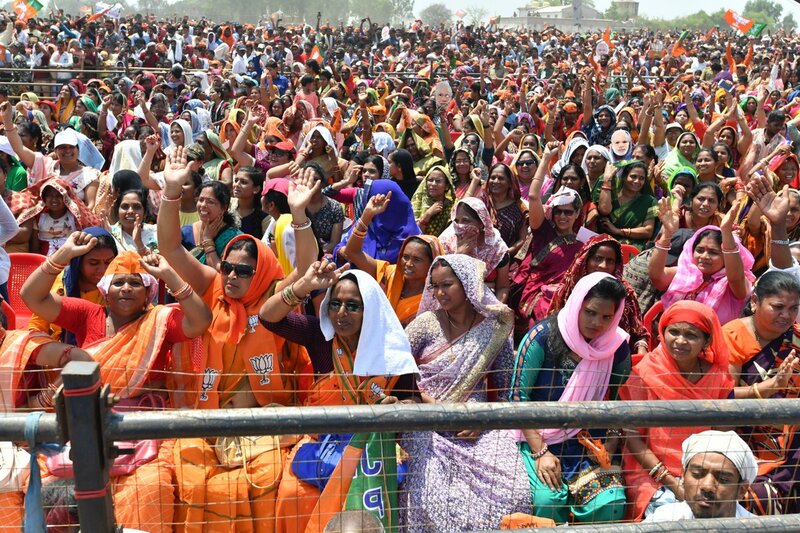 These images from Koraput demonstrate the tremendous support for BJP in Odisha. People of Odisha are tired of mining mafia, chit fund scams,misgovernance & inability to solve issues relating to health & education. Odisha is set to reject BJD. Congress is nowhere in the picture!